We will only contact you if there is a problem with your order. * Your membership will be delivered to the address specified above. ** Your 2 for 1 Cinema Benefits will be activated on the mobile number stipulated above. 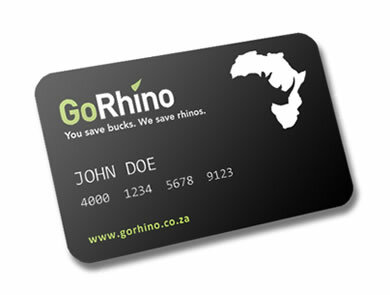 The GoRhino Loyalty card concept saves you money with the best discounts across a range of industries like restaurants, entertainment, gadgets, health, beauty and fitness. Your security and privacy is our priority. That’s why we have teamed up with Sage Pay, a trusted global leader in payment services. Your personal details are protected at all times. If you need help at any time during the purchase contact our friendly customer service department. Our office lines are available from 08:00 -17:00, Mondays to Fridays on 086 114 3643.